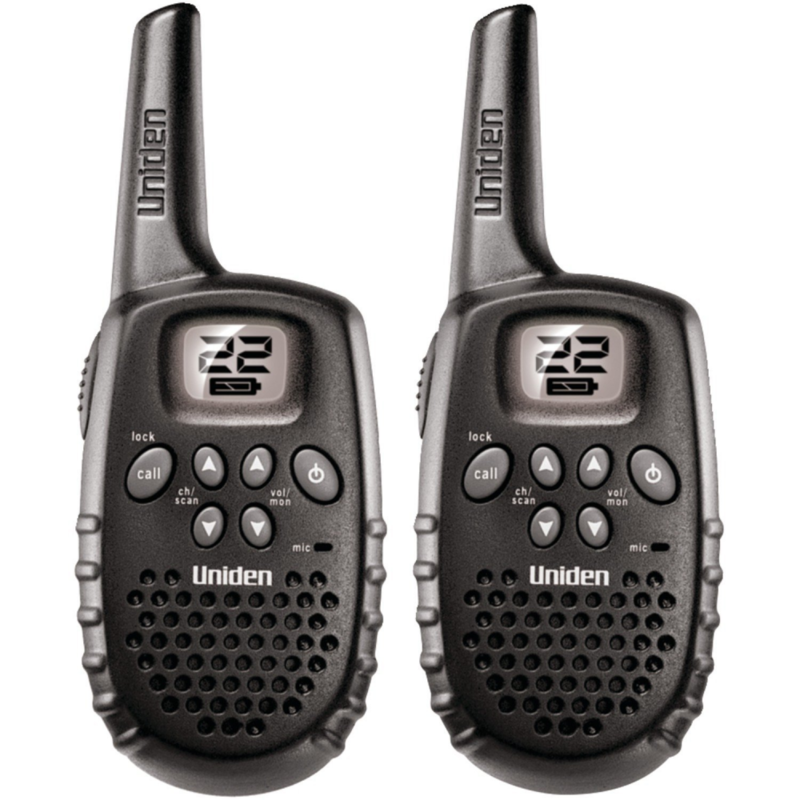 Stay in contact with the crew and friends with these Black Uniden 16-Mile 22-Channel 2-Way Radios. 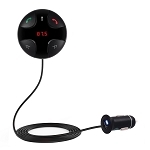 Convenient and easy to grip, this radio set is great and easy to use. 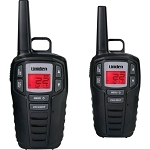 The call tone alert allows for instant notification when someone is trying to contact you. The built in Roger beep lets others know when you are finished speaking. The scan feature helps to locate others in your area. Operating off three AAA batteries, the automatic power saving feature helps with extending your battery life.